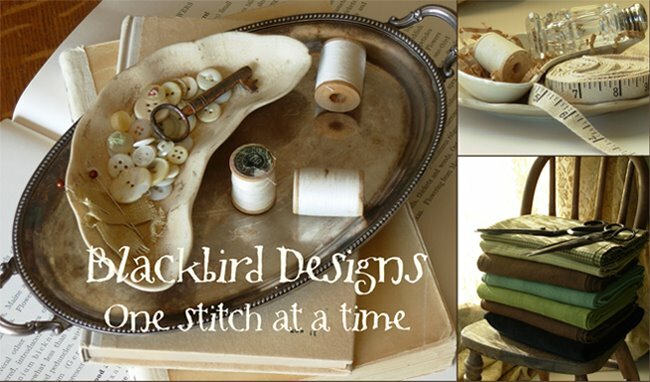 Cross stitch market is quickly approaching! Barb and I are busy to say the least. Our newest book is almost ready to go to the printer. This recipe is in the book, but I wanted to share this cookie now because it's so good and just right for Valentine's Day. I've done these in several colors. The pink is nice....but these look great in blue too. First I purchased several heart shape cookie cutters. The one on the upper left shows the original shape. (Actually, the one above is for another cookie recipe in the book....but you get the idea of how to remold the cutter from the picture. 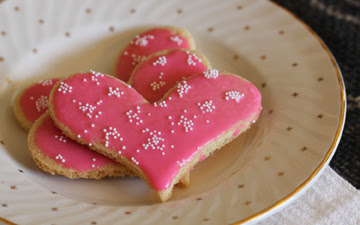 I used a 3" cutter for the sugar heart recipe.) 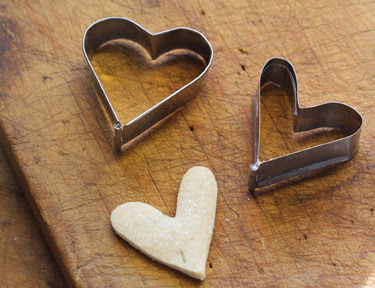 These cookie cutters can be changed into a whimsical, one-of-a-kind, heart shape. The soft metal is easily remolded when pressed firmly with your fingers. I moved the sides in a bit to narrow the heart and pressed the concave “V” shape of the cutter down, making a deeper cut into the top of the heart. Take care to keep the top convex curves of the heart shape rounded. The picture above shows the new shape of the cookie cutter. The cookie spreads a bit after baking, so I cut each one out again with the cookie cutter while they were still warm to get the perfect shape. I know that seems a bit obsessive....but I wanted them all to be exact. 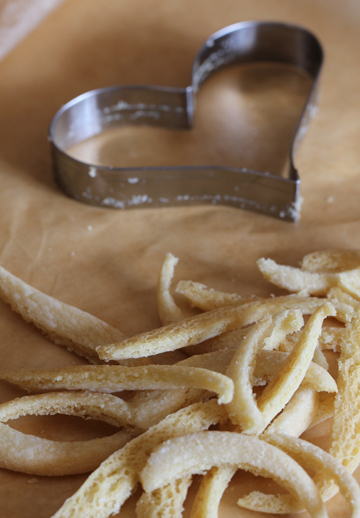 Not to worry about the excess portions of the cookie....think of them like "cookie fries." Gather all the bits of cookie left over. Next, I drew a 1/2" grid on the plastic template with a pencil. Where the lines intersected I punched a hole with my handy hole punch. 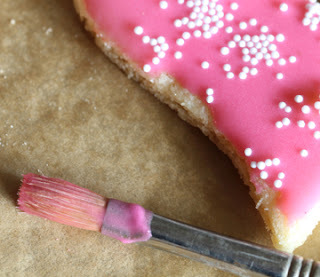 Set the template aside until you are ready for frosting. I held the template over the cookie and sprinkled the nonpareils from a spoon. It felt like I had more control over their distribution....although who can really control nonpareils? The glaze dries and you are left with cookies that look designed. I love the look of these!!! The nonpareil placement isn't perfect....but they still are sweet. Two tips before starting the recipe. 1. 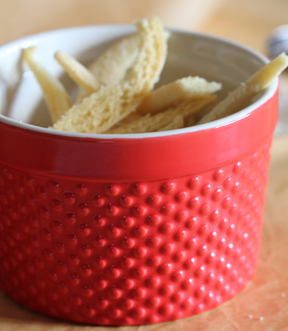 Scoop up your flour with a tablespoon and fill the measuring cup. Scrape away the excess flour with a straight edge. This will prevent using too much flour and making your cookies dry. 2. Roll the cookies out between parchment paper. No need to add extra flour to prevent sticking. -Mix the sugar and butter. Add the egg and flavorings. Mix thoroughly with your electric mixer. -Stir the dry ingredients together and add to the mixer 1 cup at a time. -Gather the dough into a ball. Half the dough and form each half into a disk. Place the disks into a plastic bag and refrigerate for 4 hours or until the dough is chilled. -Place 1/2 of a chilled disk between two pieces of parchment paper and roll the dough out to 3/16” thick. Keep the remainder of cookie dough in the refrigerator until you are ready to use it. 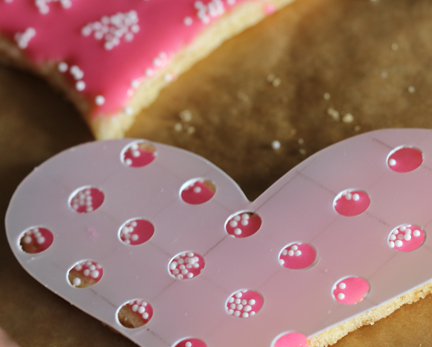 Remove the top parchment paper and use your cookie cutter to cut out the heart shapes. 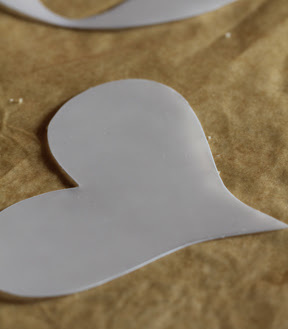 Place the hearts on parchment covered cookie sheets. Gather the remaining dough and roll again for more hearts. -Bake until the cookie begins to lightly brown on the edges, about 15 minutes. Cut the cookies again with the cookie cutter while the cookies are warm for a perfect heart shape. Remove the extra bits of dough from the cookie. Slide the parchment paper with the cookies onto a rack to cool. Repeat with the remaining dough. Makes about 4 dozen cookies. Allow the cookie frosting to dry and then package in a airtight container. These will last about 15 minutes. Looking forward to the new book! Thanks for the recipe. Love, love, love them. Thank you so much for sharing! I'll be making some for my sweetie! Thank you! Love the stenciling idea for sprinkle placement! Thank you for the recipe Alam! I am looking forward to your new book!! Missed your postings!! I'll bet the cookies taste as good as they look! Just finished my "Breakfast in Bed" bed runner last night. Love it. Took it to the quilter this afternoon. You are keeping me busy with all your beautiful new books! Taught the sewing box class last Saturday. Everyone loved it. I have many,many heart cookie cutters I have been collectiing for years. I can't wait to try your cookie recipe and make a varity of shapes. Love the cookie fries too! L O V E the idea for the second cutting!!! I'm going to do this for sure! Thanks for sharing. Can't wait it see the new book! Those cookies look wonderful! 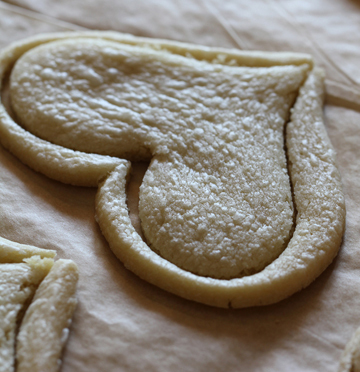 And I love how you "remade" the heart cookie cutter into a more unusual shape. Thanks for the recipe! Thanks for the recipe - they look so yummy! These are such fun to make. I followed your recipe and they were a huge success. I posted your post on my blog and I had many friends follow...THEY CAN'T wait for your book! and they loved the cookies!!!!! I also look forward to your book! Those cookies look so pretty and yummy!